One of Israel's leading strategic analysts says the country's leadership believes air strikes can set back the Iranian nuclear programme by three to five years. Ronen Bergman, an investigative journalist and analyst on the Israeli newspaper Yedioth Ahronoth has written a long piece for the New York Times magazine, asking the question on many people's minds: Will Israel attack Iran? After speaking with many senior Israeli leaders and chiefs of the military and the intelligence, I have come to believe that Israel will indeed strike Iran in 2012. Perhaps in the small and ever-diminishing window that is left, the United States will choose to intervene after all, but here, from the Israeli perspective, there is not much hope for that. Instead there is that peculiar Israeli mixture of fear — rooted in the sense that Israel is dependent on the tacit support of other nations to survive — and tenacity, the fierce conviction, right or wrong, that only the Israelis can ultimately defend themselves. The Israeli Air Force is where most of the preparations are taking place. It maintains planes with the long-range capacity required to deliver ordnance to targets in Iran, as well as unmanned aircraft capable of carrying bombs to those targets and remaining airborne for up to 48 hours. Israel believes that these platforms have the capacity to cause enough damage to set the Iranian nuclear project back by three to five years. Three to five years seems a very confident estimate. The US defence secretary, Leon Panetta, reckoned in December that such strikes could set the Iranians back one or two years "at best". Bergman also talks to a Mossad veteran, Rafi Eitan, whose own estimate was "not even three months". Bergman spent a lot of time in recent months with the Israeli defence minister, Ehud Barak, and is particularly revealing on his strategic thinking. He does not necessarily share Binyamin Netanyahu's apocalyptic view of Iran's intentions, but believes a nuclear Iran will be more aggressive and harder to counter. "From our point of view," Barak said, "a nuclear state offers an entirely different kind of protection to its proxies. Imagine if we enter another military confrontation with Hezbollah, which has over 50,000 rockets that threaten the whole area of Israel, including several thousand that can reach Tel Aviv. A nuclear Iran announces that an attack on Hezbollah is tantamount to an attack on Iran. We would not necessarily give up on it, but it would definitely restrict our range of operations." At that point Barak leaned forward and said with the utmost solemnity: "And if a nuclear Iran covets and occupies some gulf state, who will liberate it? The bottom line is that we must deal with the problem now." Bruce Riedel, a former CIA Middle East specialist, takes the opposite view, arguing in Lebanon's Daily Star today that even with the bomb, Iran would not be an existential threat to Israel. Riedel's view probably reflects the majority outlook at the CIA and the White House. Bergman examines this divergence in American and Israeli assessments, and wonders how much notice Israel would give Washington of an attack. Matthew Kroenig, a former Pentagon advisor now at the Council on Foreign Relations, reckons it will be "an hour or two, just enough to maintain good relations between the countries but not quite enough to allow Washington to prevent the attack". Jeffrey Goldberg has put out a piece in The Atlantic in response to Bergman, suggesting that Bergman's analysis might be premature, and pointing out that the same people that Bergman talked to had previously convinced Goldberg that the attack would come last summer. Clearly, Israeli has a motive in conveying the impression that an attack might be imminent, to stir up urgency in the West to confront Iran. Ultimately, as Bergman admits, only Netanyahu and Barak really know how much is bluff and how much real intention. That is a lot more interesting stuff in Bergman's piece. He is bringing out a book this month, called The Secret War with Iran, (clarification: an updated English version of his 2007 book of the same title) which sounds like it will be a gripping read, and of course the NYT article helps drum up interest and sales. In it, Bergman gives a colourful description of a meeting in January 2011 with the outgoing Mossad boss, Meir Dagan, who has argued vehemently against an attack on Iran. We were told to congregate in the parking lot of a movie-theater complex north of Tel Aviv, where we were warned by Mossad security personnel, "Do not bring computers, recording devices, cellphones. You will be carefully searched, and we want to avoid unpleasantness. Leave everything in your cars and enter our vehicles carrying only paper and pens." We were then loaded into cars with opaque windows and escorted by black Jeeps to a site that we knew was not marked on any map. The cars went through a series of security checks, requiring our escorts to explain who we were and show paperwork at each roadblock. This was the first time in the history of the Mossad that a group of journalists was invited to meet the director of the organization at one of the country's most secret sites. Operating in Iran ... is impossible for the Mossad's sabotage-and-assassination unit, known as Caesarea, so the assassins must come from elsewhere. Iranian intelligence believes that over the last several years, the Mossad has financed and armed two Iranian opposition groups, the Muhjahedin Khalq (MEK) and the Jundallah, and has set up a forward base in Kurdistan to mobilize the Kurdish minority in Iran, as well as other minorities, training some of them at a secret base near Tel Aviv. Is Bergman really channeling Iranian intelligence here, or laundering something he knows by attributing it to Iranian intelligence? Hard to know for sure, but it certainly reads like the latter. So his NYT piece and probably his book will no doubt tell us a lot about Israel's intentions but not as much as Bergman undoubtedly knows. As the Sabbath evening approached on Jan. 13, Ehud Barak paced the wide living-room floor of his home high above a street in north Tel Aviv, its walls lined with thousands of books on subjects ranging from philosophy and poetry to military strategy. Barak, the Israeli defense minister, is the most decorated soldier in the country’s history and one of its most experienced and controversial politicians. He has served as chief of the general staff for the Israel Defense Forces, interior minister, foreign minister and prime minister. He now faces, along with Prime Minister Benjamin Netanyahu and 12 other members of Israel’s inner security cabinet, the most important decision of his life — whether to launch a pre-emptive attack against Iran. We met in the late afternoon, and our conversation — the first of several over the next week — lasted for two and a half hours, long past nightfall. For years, Israeli and American intelligence agencies assumed that if Iran were to gain the ability to build a bomb, it would be a result of its relationship with Russia, which was building a nuclear reactor for Iran at a site called Bushehr and had assisted the Iranians in their missile-development program. Throughout the 1990s, Israel and the United States devoted vast resources to weakening the nuclear links between Russia and Iran and applied enormous diplomatic pressure on Russia to cut off the relationship. Ultimately, the Russians made it clear that they would do all in their power to slow down construction on the Iranian reactor and assured Israel that even if it was completed (which it later was), it wouldn’t be possible to produce the refined uranium or plutonium needed for nuclear weapons there. That secret path was Iran’s clandestine relationship with the network of Abdul Qadeer Khan, the father of Pakistan’s atom bomb. Cooperation between American, British and Israeli intelligence services led to the discovery in 2002 of a uranium-enrichment facility built with Khan’s assistance at Natanz, 200 miles south of Tehran. When this information was verified, a great outcry erupted throughout Israel’s military and intelligence establishment, with some demanding that the site be bombed at once. Prime Minister Ariel Sharon did not authorize an attack. Instead, information about the site was leaked to a dissident Iranian group, the National Resistance Council, which announced that Iran was building a centrifuge installation at Natanz. This led to a visit to the site by a team of inspectors from the International Atomic Energy Agency, who were surprised to discover that Iran was well on its way to completing the nuclear fuel cycle — the series of processes for the enrichment of uranium that is a critical stage in producing a bomb. From 2005 onward, various intelligence arms and the U.S. Treasury, working together with the Mossad, began a worldwide campaign to locate and sabotage the financial underpinnings of the Iranian nuclear project. The Mossad provided the Americans with information on Iranian firms that served as fronts for the country’s nuclear acquisitions and financial institutions that assisted in the financing of terrorist organizations, as well as a banking front established by Iran and Syria to handle all of these activities. The Americans subsequently tried to persuade several large corporations and European governments — especially France, Germany and Britain — to cease cooperating with Iranian financial institutions, and last month the Senate approved sanctions against Iran’s central bank. In addition to these interventions, as well as to efforts to disrupt the supply of nuclear materials to Iran, since 2005 the Iranian nuclear project has been hit by a series of mishaps and disasters, for which the Iranians hold Western intelligence services — especially the Mossad — responsible. According to the Iranian media, two transformers blew up and 50 centrifuges were ruined during the first attempt to enrich uranium at Natanz in April 2006. A spokesman for the Iranian Atomic Energy Council stated that the raw materials had been “tampered with.” Between January 2006 and July 2007, three airplanes belonging to Iran’s Revolutionary Guards crashed under mysterious circumstances. Some reports said the planes had simply “stopped working.” The Iranians suspected the Mossad, as they did when they discovered that two lethal computer viruses had penetrated the computer system of the nuclear project and caused widespread damage, knocking out a large number of centrifuges. In January 2007, several insulation units in the connecting fixtures of the centrifuges, which were purchased from a middleman on the black market in Eastern Europe, turned out to be flawed and unusable. Iran concluded that some of the merchants were actually straw companies that were set up to outfit the Iranian nuclear effort with faulty parts. 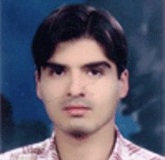 Died in January 2007 under mysterious circumstances at the Isfahan uranium plant. Killed in January 2010 when a booby-trapped motorcycle exploded near his car. 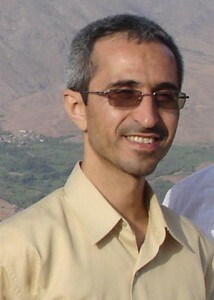 Some theorize he was not killed by the Mossad but by Iranian agents for his political support of Mir Hussein Moussavi. Of all the covert operations, the most controversial have been the assassinations of Iranian scientists working on the nuclear project. In January 2007, Dr. Ardeshir Husseinpour, a 44-year-old nuclear scientist working at the Isfahan uranium plant, died under mysterious circumstances. The official announcement of his death said he was asphyxiated “following a gas leak,” but Iranian intelligence is convinced that he was the victim of an Israeli assassination. 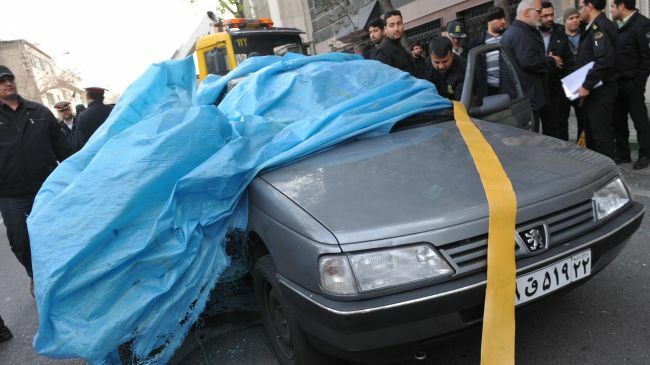 Massoud Ali Mohammadi, a particle physicist, was killed in January 2010, when a booby-trapped motorcycle parked nearby exploded as he was getting into his car. (Some contend that Mohammadi was not killed by the Mossad, but by Iranian agents because of his supposed support for the opposition leader Mir Hussein Moussavi.) Later that year, on Nov. 29, a manhunt took place in the streets of Tehran for two motorcyclists who had just blown up the cars of two senior figures in the Iranian nuclear project, Majid Shahriari and Fereydoun Abbasi-Davani. The motorcyclists attached limpet mines (also known as magnet bombs) to the cars and then sped away. Shahriari was killed by the blast in his Peugeot 405, but Abbassi-Davani and his wife managed to escape their car before it exploded. 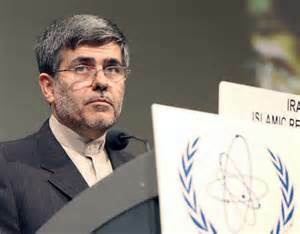 Following this assassination attempt, President Mahmoud Ahmadinejad appointed Abbassi-Davani vice president of Iran and head of the country’s atomic agency. Today he is heavily guarded wherever he goes, as is the scientific head of the nuclear project, Mohsin Fakhri-Zadeh, whose lectures at Tehran University were discontinued as a precautionary measure. 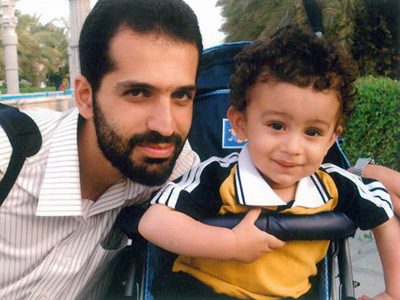 This past July, a motorcyclist ambushed Darioush Rezaei Nejad, a nuclear physicist and a researcher for Iran’s Atomic Energy Organization, as he sat in his car outside his house. The biker drew a pistol and shot the scientist dead through the car window. Four months later, in November, a huge explosion occurred at a Revolutionary Guards base 30 miles west of Tehran. The cloud of smoke was visible from the city, where residents could feel the ground shake and hear their windows rattle, and satellite photos showed that almost the entire base was obliterated. Brig. 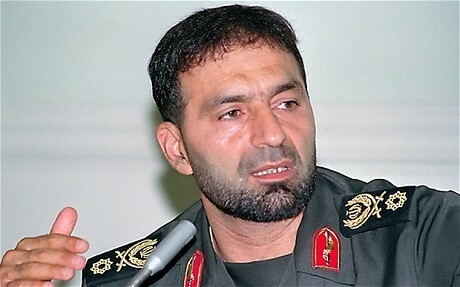 Gen. Hassan Moghaddam, head of the Revolutionary Guards’ missile-development division, was killed, as were 16 of his personnel. Ayatollah Ali Khamenei, Iran’s spiritual leader, paid respect by coming to the funeral service for the general and visiting the widow at her home, where he called Moghaddam a martyr. 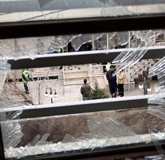 Just this month, on Jan. 11, two years after his colleague and friend Massoud Ali Mohammadi was killed, a deputy director at the Natanz uranium-enrichment facility named Mostafa Ahmadi-Roshan left his home and headed for a laboratory in downtown Tehran. A few months earlier, a photograph of him accompanying Ahmadinejad on a tour of nuclear installations appeared in newspapers across the globe. Two motorcyclists drove up to his car and attached a limpet mine that killed him on the spot. Israelis cannot enter Iran, so Israel, Iranian officials believe, has devoted huge resources to recruiting Iranians who leave the country on business trips and turning them into agents. Some have been recruited under a false flag, meaning that the organization’s recruiters pose as other nationalities, so that the Iranian agents won’t know they are on the payroll of “the Zionist enemy,” as Israel is called in Iran. Also, as much as possible, the Mossad prefers to carry out its violent operations based on the blue-and-white principle, a reference to the colors of Israel’s national flag, which means that they are executed only by Israeli citizens who are regular Mossad operatives and not by assassins recruited in the target country. Operating in Iran, however, is impossible for the Mossad’s sabotage-and-assassination unit, known as Caesarea, so the assassins must come from elsewhere. Iranian intelligence believes that over the last several years, the Mossad has financed and armed two Iranian opposition groups, the Muhjahedin Khalq (MEK) and the Jundallah, and has set up a forward base in Kurdistan to mobilize the Kurdish minority in Iran, as well as other minorities, training some of them at a secret base near Tel Aviv. Officially, Israel has never admitted any involvement in these assassinations, and after Secretary of State Hillary Clinton spoke out against the killing of Ahmadi-Roshan this month, President Shimon Peres said he had no knowledge of Israeli involvement. The Iranians vowed revenge after the murder, and on Jan. 13, as I spoke with Ehud Barak at his home in Tel Aviv, the country’s intelligence community was conducting an emergency operation to thwart a joint attack by Iran and Hezbollah against Israeli and Jewish targets in Bangkok. Local Thai forces, reportedly acting on information supplied by the Mossad, raided a Hezbollah hideout in Bangkok and later apprehended a member of the terror cell as he tried to flee the country. The prisoner reportedly confessed that he and his fellow cell members intended to blow up the Israeli Embassy and a synagogue. Meir Dagan, while not taking credit for the assassinations, has praised the hits against Iranian scientists attributed to the Mossad, saying that beyond “the removal of important brains” from the project, the killings have brought about what is referred to in the Mossad as white defection — in other words, the Iranian scientists are so frightened that many have requested to be transferred to civilian projects. As we spoke, a man approached and, having recognized me as a journalist who reports on these issues, apologized before asking: “When is the war going to break out? When will the Iranians bomb us?” The Mossad official smiled as I tried to reassure the man that we wouldn’t be nuked tomorrow. Similar scenes occur almost every day — Israelis watch the news, have heard that bomb shelters are being prepared, know that Israel test-fired a missile into the sea two months ago — and a kind of panic has begun to overtake Israeli society, anxiety that missiles will start raining down soon. Barak and Netanyahu are less convinced of the Mossad’s long-term success. From the beginning of their terms (Barak as defense minister in June 2007, Netanyahu as prime minister in March 2009), they have held the opinion that Israel must have a military option ready in case covert efforts fail. Barak ordered extensive military preparations for an attack on Iran that continue to this day and have become more frequent in recent months. He was not alone in fearing that the Mossad’s covert operations, combined with sanctions, would not be sufficient. The I.D.F. and military intelligence have also experienced waning enthusiasm. Three very senior military intelligence officers, one who is still serving and two who retired recently, told me that with all due respect for Dagan’s success in slowing down the Iranian nuclear project, Iran was still making progress. One recalled Israel’s operations against Iraq’s nuclear program in the late 1970s, when the Mossad eliminated some of the scientists working on the project and intimidated others. On the night of April 6, 1979, a team of Mossad operatives entered the French port town La Seyne-sur-Mer and blew up a shipment necessary for the cooling system of the Iraqi reactor’s core that was being manufactured in France. The French police found no trace of the perpetrators. An unknown organization for the defense of the environment claimed responsibility. The attack was successful, but a year later the damage was repaired and further sabotage efforts were thwarted. The project advanced until late in 1980, when it was discovered that a shipment of fuel rods containing enriched uranium had been sent from France to Baghdad, and they were about to be fed into the reactor’s core. Israel determined that it had no other option but to launch Operation Opera, a surprise airstrike in June 1981 on the Tammuz-Osirak reactor just outside Baghdad. Similarly, Dagan’s critics say, the Iranians have managed to overcome most setbacks and to replace the slain scientists. According to latest intelligence, Iran now has some 10,000 functioning centrifuges, and they have streamlined the enrichment process. Iran today has five tons of low-grade fissile material, enough, when converted to high-grade material, to make about five to six bombs; it also has about 175 pounds of medium-grade material, of which it would need about 500 pounds to make a bomb. It is believed that Iran’s nuclear scientists estimate that it will take them nine months, from the moment they are given the order, to assemble their first explosive device and another six months to be able to reduce it to the dimensions of a payload for their Shahab-3 missiles, which are capable of reaching Israel. They are holding the fissile material at sites across the country, most notably at the Fordo facility, near the holy city Qom, in a bunker that Israeli intelligence estimates is 220 feet deep, beyond the reach of even the most advanced bunker-busting bombs possessed by the United States. Barak serves as the senior Israeli representative in the complex dialogue with the United States on this topic. He disagrees with the parallels that some Israeli politicians, mainly his boss, Netanyahu, draw between Ahmadinejad and Adolf Hitler, and espouses far more moderate views. “I accept that Iran has other reasons for developing nuclear bombs, apart from its desire to destroy Israel, but we cannot ignore the risk,” he told me earlier this month. “An Iranian bomb would ensure the survival of the current regime, which otherwise would not make it to its 40th anniversary in light of the admiration that the young generation in Iran has displayed for the West. With a bomb, it would be very hard to budge the administration.” Barak went on: “The moment Iran goes nuclear, other countries in the region will feel compelled to do the same. The Saudi Arabians have told the Americans as much, and one can think of both Turkey and Egypt in this context, not to mention the danger that weapons-grade materials will leak out to terror groups. Many European analysts and some intelligence agencies have in the past responded to Israel’s warnings with skepticism, if not outright suspicion. Some have argued that Israel has intentionally exaggerated its assessments to create an atmosphere of fear that would drag Europe into its extensive economic campaign against Iran, a skepticism bolstered by the C.I.A.’s incorrect assessment about Iraqi W.M.D. before to the Iraq war. For their part, the Israelis suspect that the Obama administration has abandoned any aggressive strategy that would ensure the prevention of a nuclear Iran and is merely playing a game of words to appease them. The Israelis find evidence of this in the shift in language used by the administration, from “threshold prevention” — meaning American resolve to stop Iran from having a nuclear-energy program that could allow for the ability to create weapons — to “weapons prevention,” which means the conditions can exist, but there is an American commitment to stop Iran from assembling an actual bomb. Now that the facts have been largely agreed upon, the arguments Ya’alon anticipates are those that will stem from the question of how to act — and what will happen if Israel decides that the moment for action has arrived. The most delicate issue between the two countries is what America is signaling to Israel and whether Israel should inform America in advance of a decision to attack. In June 2007, I met with a former director of the Mossad, Meir Amit, who handed me a document stamped, “Top secret, for your eyes only.” Amit wanted to demonstrate the complexity of the relations between the United States and Israel, especially when it comes to Israeli military operations in the Middle East that could significantly impact American interests in the region. Almost 45 years ago, on May 25, 1967, in the midst of the international crisis that precipitated the Six-Day War, Amit, then head of the Mossad, summoned John Hadden, the C.I.A. chief in Tel Aviv, to an urgent meeting at his home. The meeting took place against the background of the mounting tensions in the Middle East, the concentration of a massive Egyptian force in the Sinai Peninsula, the closing of the Straits of Tiran to Israeli shipping and the threats by President Gamal Abdel Nasser to destroy the State of Israel. From this exchange, Amit concluded that the United States was giving Israel “a flickering green light” to attack Egypt. He told the cabinet that if the Americans were given one more week to exhaust their diplomatic efforts, “they will hesitate to act against us.” The next day, the cabinet decided to begin the Six-Day War, which changed the course of Middle Eastern history. Amit handed me the minutes of that conversation from the same armchair that he sat in during his meeting with Hadden. It is striking how that dialogue anticipated the one now under way between Israel and the United States. Substitute “Tehran” for “Cairo” and “Strait of Hormuz” for “Straits of Tiran,” and it could have taken place this past week. Since 1967, the unspoken understanding that America should agree, at least tacitly, to Israeli military actions has been at the center of relations between the two countries. Over the last four years, since Barak was appointed minister of defense, the Israeli military has prepared in unprecedented ways for a strike against Iran. It has also grappled with questions of how it will manage the repercussions of such an attack. Much of the effort is dedicated to strengthening the country’s civil defenses — bomb shelters, air-raid sirens and the like — areas in which serious defects were discovered during the war against Hezbollah in Lebanon in the summer of 2006. Civilian disaster exercises are being held intermittently, and gas masks have been distributed to the population. On the operational level, any attack would be extremely complex. Iran learned the lessons of Iraq, and has dispersed its nuclear installations throughout its vast territory. There is no way of knowing for certain if the Iranians have managed to conceal any key facilities from Israeli intelligence. Israel has limited air power and no aircraft carriers. If it attacked Iran, because of the 1,000 or so miles between its bases and its potential targets, Israeli planes would have to refuel in the air at least once (and more than once if faced with aerial engagements). The bombardment would require pinpoint precision in order to spend the shortest amount of time over the targets, which are heavily defended by antiaircraft-missile batteries. In the end, a successful attack would not eliminate the knowledge possessed by the project’s scientists, and it is possible that Iran, with its highly developed technological infrastructure, would be able to rebuild the damaged or wrecked sites. What is more, unlike Syria, which did not respond after the destruction of its reactor in 2007, Iran has openly declared that it would strike back ferociously if attacked. Iran has hundreds of Shahab missiles armed with warheads that can reach Israel, and it could harness Hezbollah to strike at Israeli communities with its 50,000 rockets, some of which can hit Tel Aviv. (Hamas in Gaza, which is also supported by Iran, might also fire a considerable number of rockets on Israeli cities.) According to Israeli intelligence, Iran and Hezbollah have also planted roughly 40 terrorist sleeper cells across the globe, ready to hit Israeli and Jewish targets if Iran deems it necessary to retaliate. And if Israel responded to a Hezbollah bombardment against Lebanese targets, Syria may feel compelled to begin operations against Israel, leading to a full-scale war. On top of all this, Tehran has already threatened to close off the Persian Gulf to shipping, which would generate a devastating ripple through the world economy as a consequence of the rise in the price of oil. The proponents of an attack argue that the problems delineated above, including missiles from Iran and Lebanon and terror attacks abroad, are ones Israel will have to deal with regardless of whether it attacks Iran now — and if Iran goes nuclear, dealing with these problems will become far more difficult. 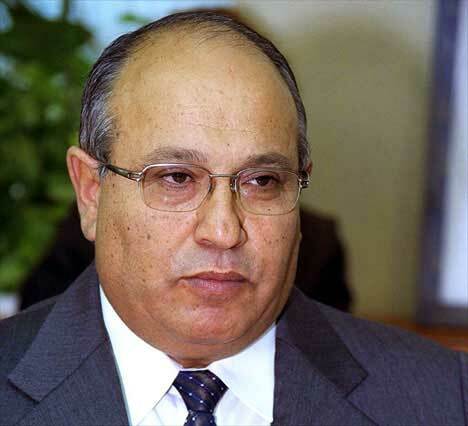 In January 2010, the Mossad sent a hit team to Dubai to liquidate the high-ranking Hamas official Mahmoud al-Mabhouh, who was coordinating the smuggling of rockets from Iran to Gaza. The assassination was carried out successfully, but almost the entire operation and all its team members were recorded on closed-circuit surveillance TV cameras. The operation caused a diplomatic uproar and was a major embarrassment for the Mossad. In the aftermath, Netanyahu decided not to extend Dagan’s already exceptionally long term, informing him that he would be replaced in January 2011. That decision was not well received by Dagan, and three days before he was due to leave his post, I and several other Israeli journalists were surprised to receive invitations to a meeting with him at Mossad headquarters. We were told to congregate in the parking lot of a movie-theater complex north of Tel Aviv, where we were warned by Mossad security personnel, “Do not bring computers, recording devices, cellphones. You will be carefully searched, and we want to avoid unpleasantness. Leave everything in your cars and enter our vehicles carrying only paper and pens.” We were then loaded into cars with opaque windows and escorted by black Jeeps to a site that we knew was not marked on any map. The cars went through a series of security checks, requiring our escorts to explain who we were and show paperwork at each roadblock. This was the first time in the history of the Mossad that a group of journalists was invited to meet the director of the organization at one of the country’s most secret sites. After the search was performed and we were seated, the outgoing chief entered the room. Dagan, who was wounded twice in combat, once seriously, during the Six-Day War, started by saying: “There are advantages to being wounded in the back. You have a doctor’s certificate that you have a backbone.” He then went into a discourse about Iran and sharply criticized the heads of government for even contemplating “the foolish idea” of attacking it. Israeli law stipulates that only the 14 members of the security cabinet have the authority to make decisions on whether to go to war. The cabinet has not yet been asked to vote, but the ministers might, under pressure from Netanyahu and Barak, answer these crucial questions about Iran in the affirmative: that these coming months are indeed the last opportunity to attack before Iran enters the “immunity zone”; that the broad international agreement on Iran’s intentions and the failure of sanctions to stop the project have created sufficient legitimacy for an attack; and that Israel does indeed possess the capabilities to cause significant damage to the Iranian project. In recent weeks, Israelis have obsessively questioned whether Netanyahu and Barak are really planning a strike or if they are just putting up a front to pressure Europe and the U.S. to impose tougher sanctions. I believe that both of these things are true, but as a senior intelligence officer who often participates in meetings with Israel’s top leadership told me, the only individuals who really know their intentions are, of course, Netanyahu and Barak, and recent statements that no decision is imminent must surely be taken into account. An article on Page 22 this weekend about Israel’s response to the possibility of Iran’s acquiring a nuclear weapon misstates part of the name of a treaty that the International Atomic Energy Agency claimed Iran was in breach of. It is the Nuclear Nonproliferation Treaty (not Proliferation).